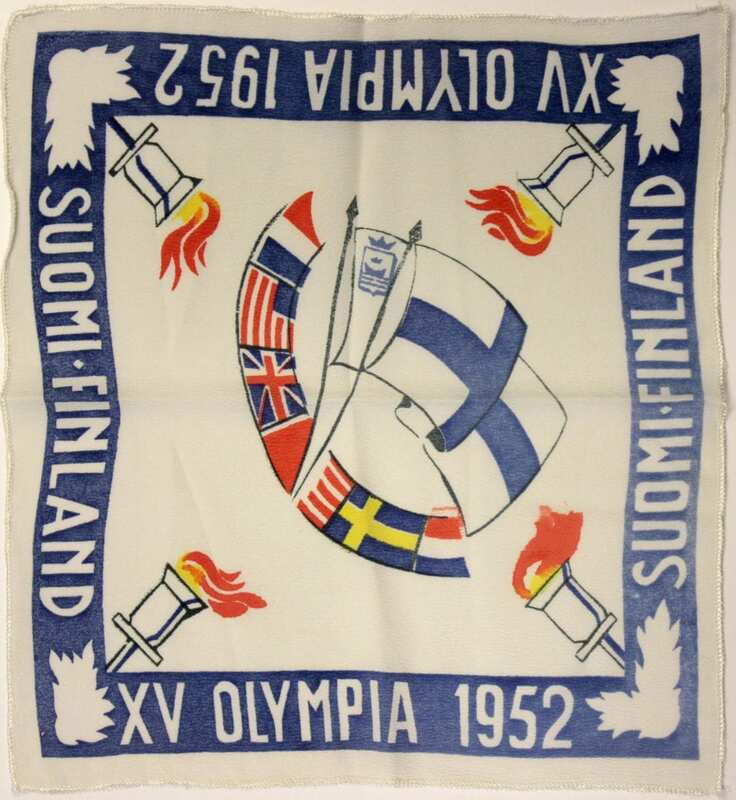 Description: Whitish handkerchief with blue border containing in white the text: XV OLYMPIA 1952 SUOMI FINLAND. In the middle the Finnish flag and small flags of other nations forming a running track. A burning torch in each corner.